Anyone who's been following this chart since this week's pre-open owes me a coffee... or, depending on the size of your trades, a Lamborghini. (Please hit the "Donate" button if you're feeling like sharing some of the spoils, although I may have to take direct shipment on all forthcoming Lamborghinis.) ;) This chart has been dead-on money so far. Will it continue its win streak? Before I fall asleep (4:40 a.m. here in HI), I wanted to update to give you an idea of what form we're looking for from this wave structure. It should look *something like* the drawn-in grey lines. 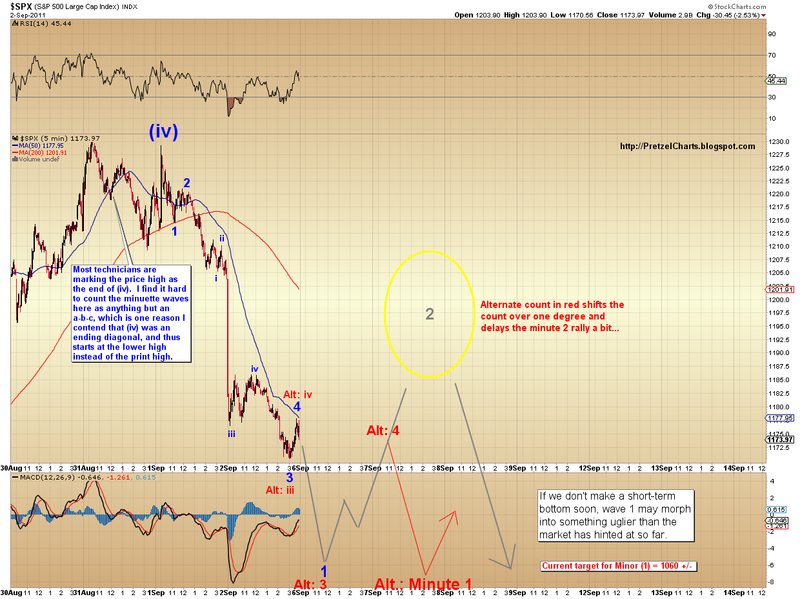 As I type, it looks like we're in the process of forming a minuette fourth wave, which should lead to a new low. Currently the larger wave appears as if it will end up being the 1st wave of the sub-dividing 3rd of v of minor 1. 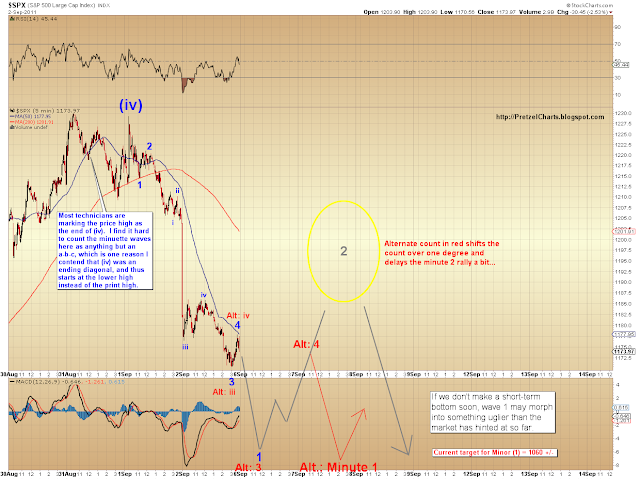 At this point in the wave structure, bears want to see it grind sideways at times, then fall lower. What bears don't want to see is it turn up from here and become the c wave of b of c of (z) of the alternate count ("Giving the Bulls Some Airtime" post below). At present, it looks like it's roughly targeting the rising trendline that's been support for this market since the 1101 print low. 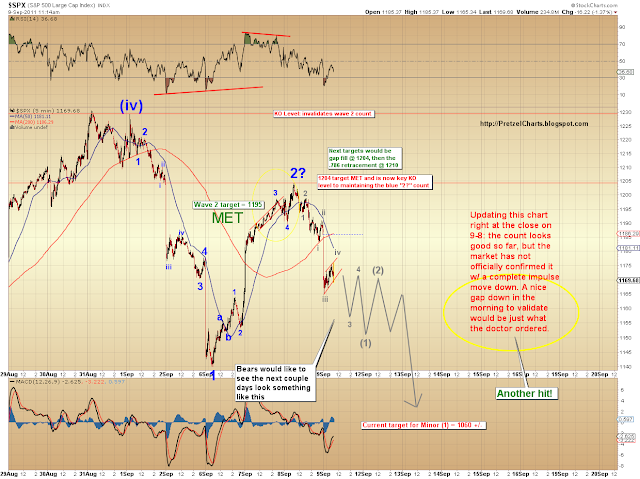 Ideally, we want to see the current wave test that line or come close. 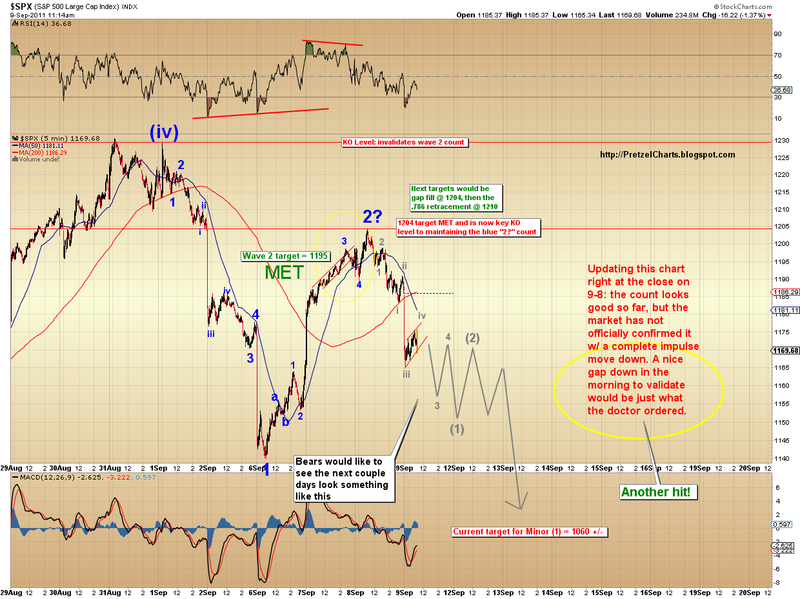 I would expect a bounce at that point, and then a strong move through it. More later.